New Dual Coil, Huge Vapor, Stainless Steal. 1. Detach the clearomizer from the battery. 2. Turn the clearomizer upside-down, so that the mouthpiece is pointing towards the floor. 3. Unscrew the base from the body of the clearomizer. The base is the metal part that screws onto the battery. 4. 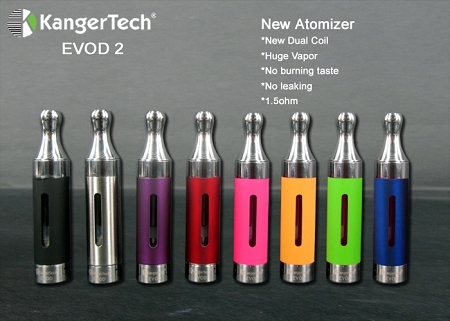 The atomizer head will be the long, thin part that is attached to the base that you just unscrewed. Unscrew the head from the base and throw it away. 5. Screw on a new atomizer coil securely onto the base. 6. Screw the base back onto the body of the clearomizer. 7. Screw the entire clearomizer back onto the battery.